The Austrian music scene is currently as vibrant, diverse and abundant as it gets. It is therefore particularly gratifying that music from Austria is also gaining more and more international recognition. With an extensive feature on the Austrian music scene in the current issue of the German music magazine Musikexpress, there are numerous tracks and albums by local artists mentioned in various media outlets such as the German Intro or Spiegel. Plus, the band Bilderbuch was selected out of over 300 acts from the international media as one of the most recommended bands performing at the Eurosonic Festival 2015. Signing off for the year, the Austrian Music Export takes a look back at its activities in 2014. 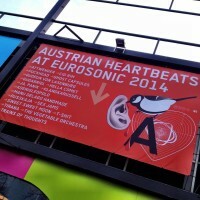 January 2014 started off with Austria as the proclaimed focus country at Europe’s most important showcase festival, the Eurosonic Noorderslag in the Netherlands. At this festival 18 local acts, ranging from Attwenger, Cid Rim to Klangkarussell and Manu Delago, received the opportunity to perform in front of an international audience. GuGabrial was able to take home the European Border Breakers Award, which will again be awarded to another Austrian act, Klangkarussell, in 2015. 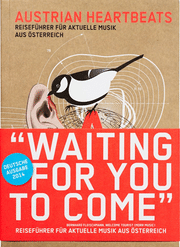 On this occasion, Austrian Music Export teamed up with the publishing company Verlag für Moderne Kunst to publish the ‘Austrian Heartbeats Music Travel Guide to Austria’, a collection of useful information, addresses, recommendations, interviews and essays on Austria’s surprisingly diverse musical landscape. To provide an unusual listening experience by featuring the music of young composers and musicians associated with the genres jazz/improvised music, new music, pop/rock/electronica and world music, Austrian Music Export the record label col legno launched the complementary compilation series “Austrian Heartbeats”. As a leading figure of the Austrian electronic scene, Partrick Pulsinger was asked to curate the #01 of the new series. As was to be expected, Pulsinger selected four extraordinary young acts for the CD, each of them standing for a brilliant and unique pop vision. For the second edition, which will be dedicated to contemporary music and released next year, the Austrian composer Georg Friedrich Haas will act as the curator. 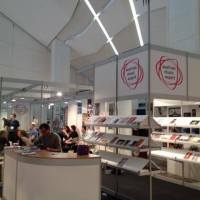 In terms of contemporary music, the focus of promotional activities in 2014 was set on the festivals Donaueschingen Festival, Huddersfield Contemporary Music Festival, Witten Days for New Chamber Music and Wien Modern. This November the networking and showcase series ‘Vienna My Love’ led a delegation of local artists and industry representatives to Zagreb to forge closer relations with the Croatian scene. After successful events in Poland, France, Slovenia, Belgium and the Netherlands, the event in Croatia was well attended and also showed a strong interest from participants of the neighboring countries Slovenia and Slovakia. In 2015 the Austrian Music Export will concentrate on the focus countries Finland and Estonia, Latvia, Lithuania (the Baltic States). In its 4th edition in 2014 the WAVES VIENNA FESTIVAL was able to consolidate and expand its position as a serious contender in the world of showcase festivals. With 13,800 counted visitors, the music program was once again topped the numbers of the previous year. For four days more than 130 national and international acts played in the inner city of Vienna and ten stages in Bratislava. The Austrian Music Export reception, accompanied by a SCHMIEDS PULS concert in the Austrian Cultural Forum Bratislava, enabled a fruitful exchange between the international participants. With 923 delegates, the Waves Vienna Music Conference also recorded a growth in visitor numbers and offered extensive panels and workshops under the main theme “East Meets West” and this year’s emphasis on the partner countries Croatia and the Netherlands. The conference was held for the first time at the University of Music and Performing Arts, and simultaneously took place with the “Vienna Music Business Research Days”. The next Waves Vienna Festival edition will be held from September 30 – October 4, 2015. 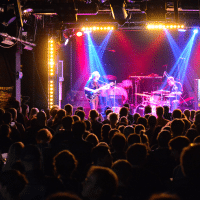 Over the past few years Austria has successfully established itself with regular live concerts at the Reeperbahn Festival in Hamburg, Germany. With six showcases at the festival in 2014, the festival visitors were offered a variety of opportunities to discover the Austrian music scene and make new contacts. With the internationally acclaimed Hang player Manu Delago and the Viennese band Bilderbuch as part of the Austrian line-up, the festival program presented some of the finest representatives of the Austrian music scene. On invitation of Austrian Music Export, the Viennese soul reformers 5/8erl in Ehr’n managed to enthuse the international particpants at a networking breakfast. From an Austrian perspective it was extremely rewarding to recieve so much positive feedback on the two Austrian showcases at the jazzahead! in Bremen. Both the trashy-groovy quartet Kompost 3 and the witty and experimental Austrian/Swiss trio ROM/SCHERER/EBERLE were celebrated with great applause and broadcasted live on Arte TV. Currently the Viennese group Kompost 3 belongs to one of the most exciting groups of the Austrian jazz scene and just recently won the Bremen Jazz Prize 2014 endowed with prize money €10,000. This year WOMEX, the biggest international trade fair in the field of world music, took place in Santiago de Compostela in Spain. More than 20 Austrian participants used this fair as an opportunity to establish international contacts and present their products and services at the Austrian booth. Several Austrian artists were also able to present themselves at various industry events such as SXSW (Austin, US), Tallinn Music Week (Tallinn, EE), m4music Festival (Zurich, Switzerland), Iceland Airwaves festival (Reykjavik, IS), Berlin Music Week (Berlin, DE), Europavox Festival (Clermont-Ferrand, F) or the Glimps festival in Belgium. As part of the international tour support program, numerous international music performances were made possible all over the world in countries such as Australia, South Africa and the U.S. Together with mica – music austria, the Austrian Music Export went on tour through Austria with several local artists. The services and offers of the export sector were presented in all Austrian provinces during information workshops, discussions and live concerts. Specific strategy workshops also offered artists and industry representatives the opportunity to contribute with feedback, ideas and projects for the future work of the export office. 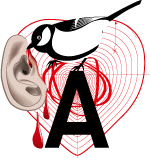 A forecast for 2015 gives hope for a continuation of these positive developments: The new year begins with performances by the Austrian bands BILDERBUCH, BULBUL, GODS, MOONLIGHT BREAKFAST and OGRIS DEBRIS at the renowned EUROSONIC FESTIVAL. The Salzburg stars KLANGKARUSSELL are also the winners of the EBBA 2015, which is annually bestowed to European artists by the festival, in cooperation with the European Commission, to reward the international, cross-border successes of emerging artists. Shortly thereafter, the Austrian music scene gets another opportunity to showcase their skills on an international level. At the Internationale Kulturbörse Freiburg 2015 the focus will be shifting to the Austrian world music and jazz scene and will feature its tremendous talents. 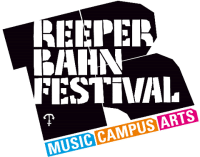 The following ten Austrian acts have been invited to perform at the Internationale Kulturbörse Freiburg 2015: Catch-Pop String-Strong, Diknu Schneeberger Trio, Duo Bartolomey/Bittmann, Die Strottern & Blech, Madame Baheux, Federspiel, 5/8erl in Ehr’n, Playbackdolls, Martin Spengler & die foischn Wiener and Das Grossmütterchen Hatz Salonorkestar. 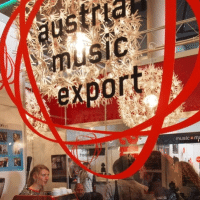 Austrian Music Export is a joint initiative of the Austrian Music Information Center mica – music austria and the Austrian Music Fund, combining the efforts of different funding sources to make an impact with sustainable internationalization methods. The Austrian Music Export is supported by the AKM/GFÖM, AUME/SKE, go international – an initiative of WKO and BMWFJ, BMUKK, BMEIA, IFPI, FAMA/WKO, the Cultural Department of the City of Vienna and many other project partners. The activities of the export office for Austrian music range from the financial support of local artists with international performances, through international networking, promotion and information about target markets, to the organization of trade fairs and festival appearances.